Happy Easter to everyone…the greatest day in history…Jesus is Alive! The resurrection of Jesus Christ is our victory over sin and death, it is the promise of eternal life, it is what moved the Apostle Paul to quote Hosea when he wrote in 1 Corinthians 15:55 “O death, where is your victory? O death, where is your sting?” We can look at death without fear because of Jesus’ resurrection. Even today artists sing and write in beautiful ways capturing the significance of Jesus’ resurrection. I love this song I heard for the first time this year by Corey Voss, it is called Praise the King. We hope sharing the lyrics here encourages you today and draws you closer to God. Happy Easter! Death, where is your sting?! 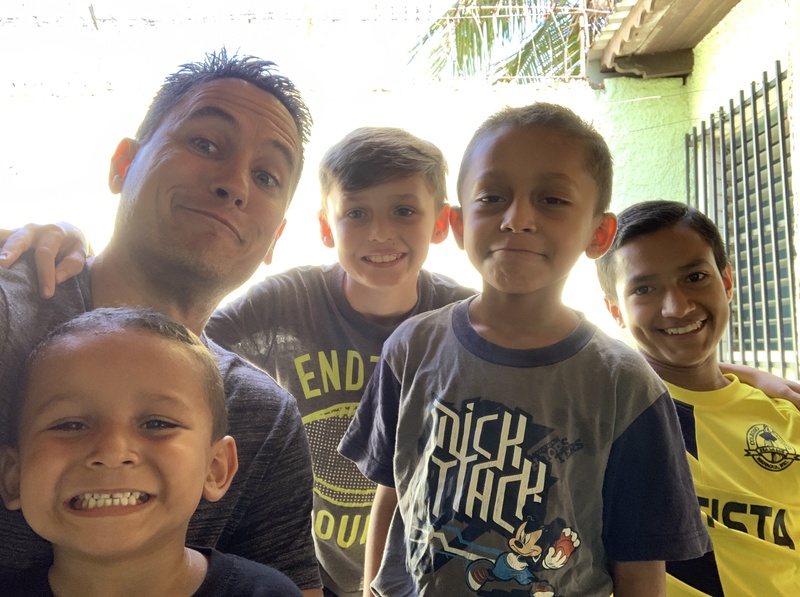 Last year we changed some of the way we delivered resources to Walakitang to make life easier on Pastor Victor and his family with the idea of him having to make less frequent visits all the way to Managua (It is a rough three day trip in both directions). It has worked well but on the down side I haven’t had the chance to meet personally with Victor for a while. So when he called earlier this week I was excited to go spend some time with him. 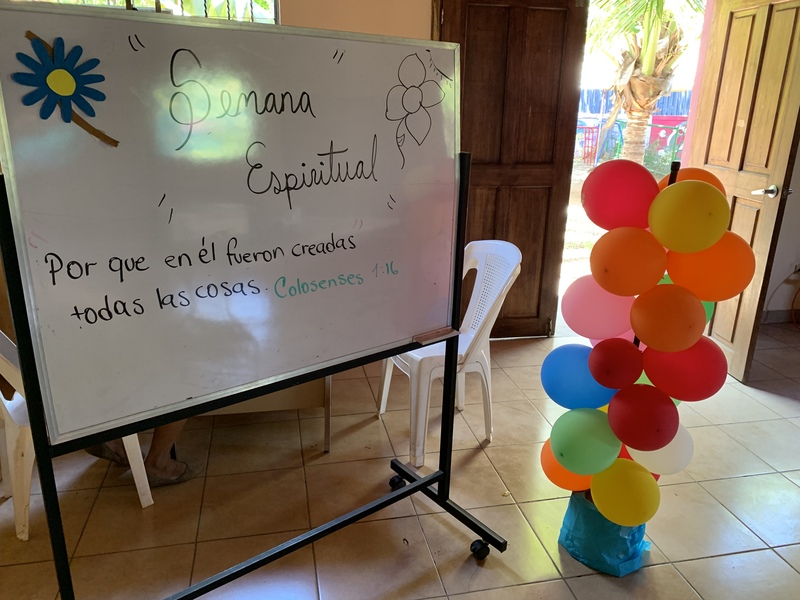 Sadly his circumstances for being in Managua were because his younger brother had recently had an operation for a brain tumor in Managua and unexpectedly passed away in recovery in the ICU. He had just buried his brother Falco up North in SaSa, then he was back in Managua with his wife Damaris because she is having biopsy work for signs of cancer. These were some very heavy things to be going through and I only share them to ask you to pray for Victor and Damaris, specifically for healing from any kind of cancer in Damaris’ body! When I picked them up they asked if we could pick up their daughter Merary who last year started university in Managua at UNAN. She is studying medicine and was accepted into a program for students from remote regions that provides them dorm housing. She seems to be doing very well, and they were all very excited to see each other. On our way to the house they were staying in we stopped for lunch together, including Damaris’ 70 year old Tia who traveled with her from Walakitang. I was encouraged to see them all together and encouraged Victor and Damaris to continue to invest whatever it takes for their daughter to complete her studies…it seems that God is preparing her to be a generational bridge to Walakitang. Catching up about the church in Walakitang was very encouraging as well. During our conversations I asked if there were any full families that came to church together or if the church was mostly made up of individuals from the community. He and Damaris paused for a second and then started talking about this family and that family and another family, even to the point were they couldn’t even remember everyone’s names. It was fun to realize that the church has grown to that point. We pray that this little congregation will be a light for the Good things of Jesus in Walakitang, that people will come to know Jesus personally and follow Him with the way they live their lives. This will bring great change to Walakitang. Interestingly and sadly as well, there are still outbreaks of “The Crazy Sickness.” You may remember this demonic possession that affects that portion of the Rio Coco from previously newsletters and blog posts we have written. It has roots in the animistic religions of the region and in dark magic witchcraft. As you pray for Walakitang, please keep praying against the crazy sickness! On an encouraging note, during our lunch Damaris’ Tia started talking in Miskito. I don’t understand much beyond saying hello in Miskito so it was fun to just sit there and listen to them. Victor laughed a few times and then told me what she was wanting him to share. She is actually part of the Moravian church in Walakitang, but she likes to visit the sick. She recently asked Victor to visit with her during a time that he was praying and fasting. He share two pretty powerful stories with me. The first was about visiting a house where a woman was in a critical state of sickness and was having tremors. Victor went with his Aunt and as he laid hands on her he saw her as a pale bald person while he was praying. He immediately felt the Spirit of Death was upon her. He kept praying against the Spirit of Death and by the time they finished He felt the Lord tell him she is healed and that by the next morning she would be better and eating meals. 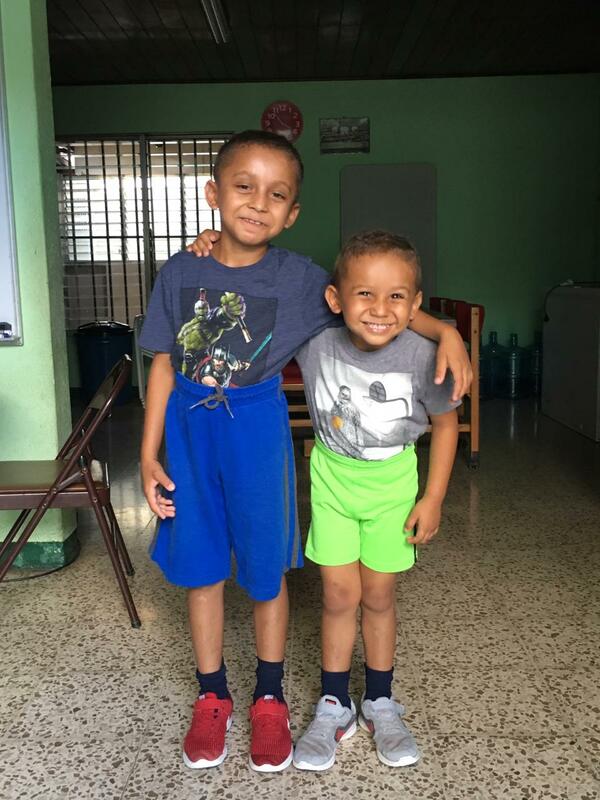 Victor and his Tia were all smiles when they shared that the next morning the woman was back to normal and eating breakfast with her family. Amen. The next story began with…”we went to visit a home where a woman had been dead for three days.” I started to think oh my goodness this is going to be incredible. But Victor said she wasn’t dead but had been laying in bed for three days not moving. Her skin and body were stiff and basically the only sign of life was that her heart was still beating. He said when he came in the room he could feel a presence of witchcraft and evil spells. Victor prayed against those things as he laid hands on the woman and again while he was praying he felt the Lord say she would be healed. This time that it would be by the next Sunday and so he said amen and shared that with the family. As they left the house, he said a little boy came running saying “Tio Tio she opened her eyes!”. Sure enough by Sunday she was totally healed. Now, she comes to Verbo Church every Sunday. She gets there early, prays at the altar until the service starts and then joins the rest of the church members in worship. Hearing this story reminded me of the Parable of the Two Debtors that Jesus tells in Luke Chapter 7 and of the woman there who had covered his feet in her tears and washed his feet with perfume. She had been forgiven much and so she loved much. This woman in Walakitang had been touched by God so deeply that now that she is back to life she is worshipping the Lord so deeply! Victor was quick to say that he told all the church members that there is power in prayer and fasting, deflecting attention away from his involvement in these healings. I said Amen! to that. As we finished lunch I just had a fun time asking their Tia about Walakitang and what she remembers from back before it was even a town. I learned a good little bit of history I hadn’t known before but will spare anyone who has read this far! It was a great time together. They will be heading back to Walakitang on Friday. On the way home they will stop at a hospital in Jinotega for Damaris to have the biopsy done. So, please be praying for her and for their family. I made sure to spend time praying for Damaris and declaring healing over her as we said goodbye. All cancer gone, in Jesus name! If you would like to support this work in Walakitang and on the Rio Coco you can find more info here. You can donate through our blog by check or by using PayPal. As this school year started for our family, part of the curriculum that Krista is doing includes a daily one year bible reading schedule. We chose the “highlights” version of the plan that would allow us to read one chapter a day. So we have all been doing that together, but individually. Have you ever read Genesis? Not for kids. This is God’s Story? Yes this is God’s story…As I was reading those stories the other morning I realized something. 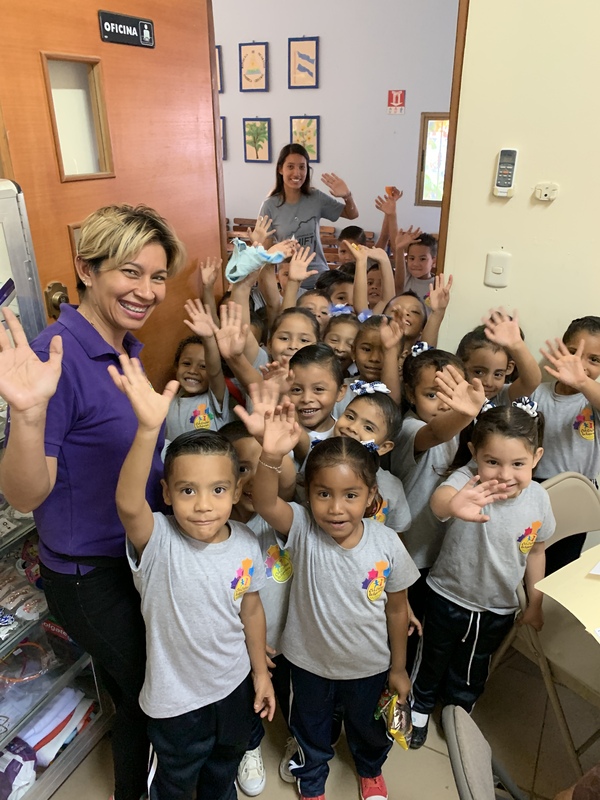 Club Esperanza: First Day of School!!! We want to introduce you to Samael and Elery. As this year started we had a visitor come to the gate asking to speak with Don Michael (Krista’s dad). It was a mother asking for help. She was desperate and was not able to care for her two sons anymore. The situation in Nicaragua has made life impossible for her. She could not even feed her boys and she asked if there was any way that we could take them. It is incredibly sad that this type of situation even exists, but we know the Lord has Casa Robles in existence for these types of moments. So, Mr. B met with her down by the gate, prayed with her and told her about Casa Robles. The next week they met with Mama Angelica and Papa Yuri and we felt the Lord giving the green light. These boys needed a refuge, right now.